2016 - Member of the Organizing Committee of the World Bioenergy Congress and Expo 2016, Rome, Italy. 2016 - Member of the Technical Program Committee of AMSEE2016 (International Conference on Advanced Materials Science and Environmental Engineering), Chiang Mai, Thailand. S. Vergura, F. Marino, M. Carpentieri, Processing Infrared Image of PV Modules for Defects Classification, ICRERA 2015, 22-25/11/2015, Palermo, Italy, 2015, ISBN: 978-1-4799-9981-1. G. Patrono, S. Vergura, A. Massi Pavan, LCOE for Zero-Energy Greenhouse, ICRERA 2015, 22-25/11/2015, Palermo, Italy, 2015, ISBN: 978-1-4799-9981-1. S. Vergura, Scalable Model of PV Cell in Variable Environment Condition based on the Manufacturer Datasheet for Circuit Simulation, IEEE-EEEIC 2015, 10-13/06/2015, Roma, Italy, 2015. S. Vergura, R. Zivieri, M. Carpentieri, Seasonal Signal Analysis of Distribution Lines in Smart Grids via Hilbert-Huang Transform, IEEE-EEEIC 2015, 10-13/06/2015, Roma, Italy, 2015. G. Dellino, T. Laudadio, R. Mari, N. Mastronardi, C. Meloni, S. Vergura, Energy Production Forecasting in a PV plant using Transfer Function Models, IEEE-EEEIC 2015, 10-13/06/2015, Roma, Italy, 2015. 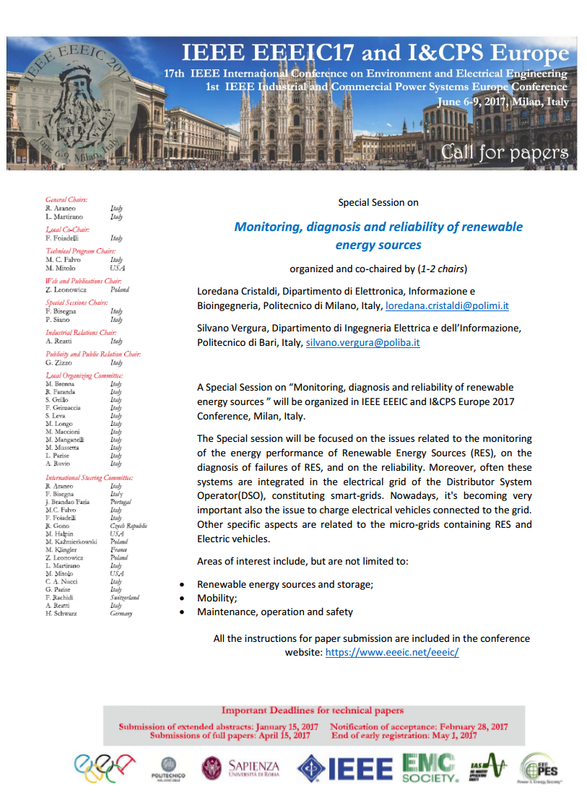 L. Cristaldi, M. Faifer, G. Leone, S. Vergura, Reference Strings for Statistical Monitoring of the Energy Performance of Photovoltaic Fields, IEEE-ICCEP 2015 International Conference on Clean Electrical Power, 16-18/06/2015, Taormina, Italy, 2015. S. Vergura, M. F. de Ruvo, F. Marino, A GUI Based Analysis of Infrared Images of PV Modules, IEEE-ICCEP 2015, 16-18/06/2015, Taormina, Italy, 2015. S. Vergura, A. Massi Pavan, On the photovoltaic explicit empirical model: operations along the current-voltage curve, IEEE-ICCEP 2015 International Conference on Clean Electrical Power, Taormina, Italy, June 1618, 2015. G. Patrono, S. Vergura, Integration of a Solar System in the Greenhouse Architecture, IEEE-ICCEP 2015 International Conference on Clean Electrical Power, Taormina, Italy, June 1618, 2015. S. Vergura, 3D Performance Analysis of a Concentrating Solar Power Plant based on a MATLAB Model, IEEE-ICCEP 2015 International Conference on Clean Electrical Power, Taormina, Italy, June 1618, 2015. 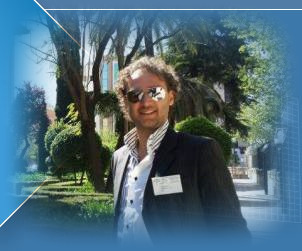 E. Venezia, S. Vergura, Transport Issues and Sustainable Mobility in Smart Cities, IEEE-ICCEP 2015 International Conference on Clean Electrical Power, Taormina, Italy, June 1618, 2015. S. Vergura, Cè il monitoraggio statistico degli impianti fotovoltaici, Nuova Energia, n. 3/2008, pp 80 e segg.